H.P. Lovecraft is one of the most famous writers of horror fiction, with an almost peerless legacy. 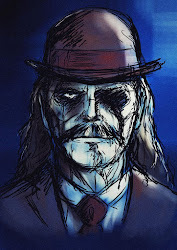 His works have influenced literature, music and film, with his legions of admirers taken by his atmospheric tales filled with ancient and omnipotent evil, reaching out from the darkness of the past to touch humanity with madness. Lovecraft, like many of his contemporaries such as Robert E. Howard, made his name by publishing stories in pulp magazines. At the time of his death in 1937, his work was known only by a few, but as time passed his reputation grew, now being widely considered the greatest writer of horror fiction alongside Edgar Allan Poe. 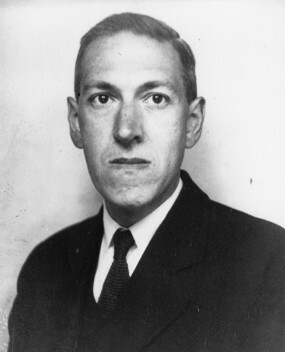 Lovecraft's greatest achievement was in creating his Cthulu mythos, a series of stories describing the existence of an ancient evil which contacts individuals through vivid and frightening dreams. This series has been so popular that many writers have subsequently added to the Cthulu mythos. It should be noted for modern readers that Lovecraft was unfortunately a racist and a segregationist, and this does appear in places throughout his work. Regularly, characters who are not white are typically depicted as degenerates and impure. We know that this is reflective of his racist beliefs as he clearly outlines his views in a number of personal correspondences outside of his stories. For modern readers this can be off-putting, and it's a great shame that readers have to experience this aspect of Lovecraft's writing occasionally. Nevertheless, he still created some fantastic stories and, if the reader can separate the art from the man, Lovecraft's tales remain some of the most imaginative pieces ever devised in the pantheon of horror.